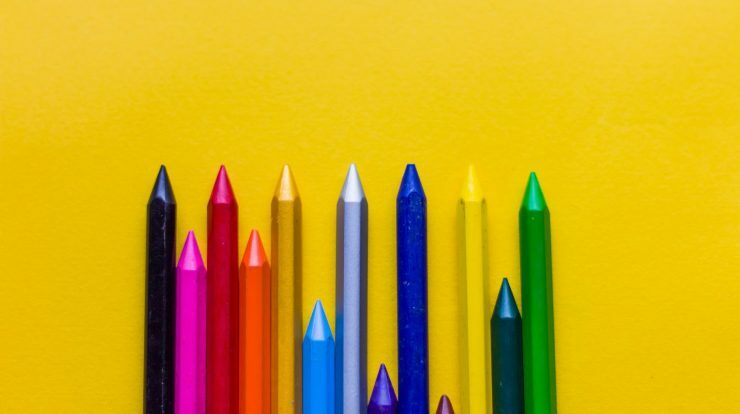 Blue, Red, Yellow and Green are simply colors for you but these colors also play an important role in marketing and branding. Color is the first place, where the first customer impression is based upon. In simple words, when it comes to branding and marketing, your customers will first recognize the colors of your brand, marketing campaign or product. Starting from the brand logo to packaging of the product, different colors used in, plays a crucial role. 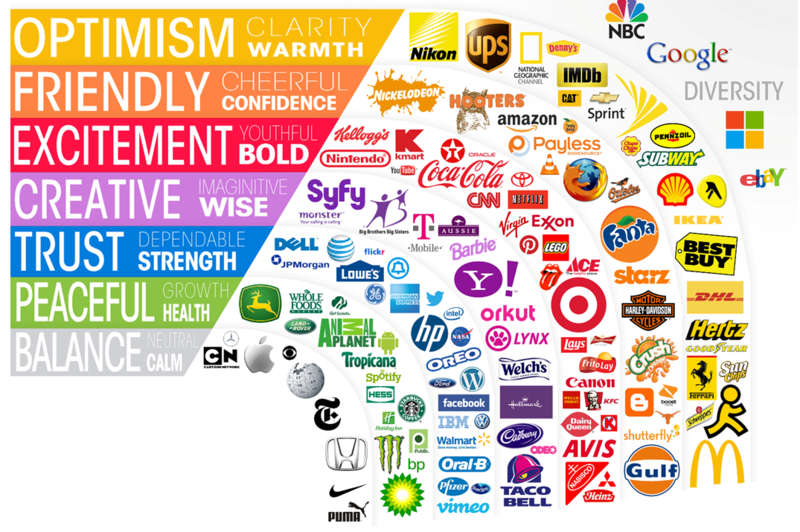 Always remember, in marketing and branding, each color comes with its own set of attributes and values. If you find any product painted in a particular color then it can’t be a coincidence but instead, it has been done purposely. Do you know? In the USA, 75% of the pencils are painted in ‘Yellow’ color. Have you ever wondered? Why? This is because the pencil manufacturer is using high-quality Chinese graphite in it. Hence, they painted them with a color associated with Chinese royalty that is ‘Yellow’. So, there is always a good reason behind selecting the color for branding and marketing. Hereby, in this article I will share the importance of colors in business, branding and marketing. So, what are we waiting for? Let us start discussing the important factors for selecting the best color for your brand and product. But, before starting with the same, let us first understand the meaning of different colors below. Your favorite Nestle Maggi Noodles is packed in ‘Yellow Color’. Have you ever wondered? Why? This is because the yellow color represents happiness and easily drives the attention of window shoppers. Hence, most of the FMCG related products are painted with yellow colors. For example, Yipee Classic Noodles, Magie Noodles, Amul Butter, etc. Similarly, different colors have different pre-received meanings when it comes to marketing and branding. Let us have looked over the meaning of four primary colors first. Blue is a color of sea and sky. Hence, it represents depth and stability. When it comes to marketing and branding, the blue color seen to be a very positive and trustworthy color and therefore it is generally used by major banks and institution bodies. For example, the State Bank of India, Intel, General Electric, etc. Next, Red is a color of energy, Boldness, and danger. And, hence it is used by companies producing energy drinks and repellents. For example, Red Bulls, Good Night, Godrej Hit, etc. Next, Red color also represents excitement and urgency. It also draws your attention easily. Hence, the important announcement and the offers and discounts are printed using red colors. As told earlier in this article, Yellow is a color of Sun. It is as bright as the Sun. It represents happiness and optimism. There are many successful brands using this color in their marketing and branding. For example, Lays Chips, Mc Donalds, Nestle Maggie, Amul Butter, etc. Green is a color of peaceful nature and the environment. Hence, many organic and environment-friendly brands are using this color for marketing and branding. For example, Tata Tea, Medimix Soaps, Lipton Green Tea, etc. Just go and check any new product launch. No matter whether the company is using green color or not? Whenever they will launch a new natural and organic product in the market, they will definitely use green color in marketing and branding. For example, Tide Detergents. Recently Tide came out with a natural version and the color used in its marketing was Green. Above all, we have discussed only the primary colors, but similarly, the non-primary colors also have any meaning and feeling associated with it. For more example, please refers to the below-attached image. But, the moral of the story is that- Every color has its own feeling and meaning associated with it and hence you need to pay attention to it while branding and marketing any products. Next, it does not matter, whether you are running an online or offline business, starting from the brand logo, packaging, marketing campaign, online website designing and color of products, at every place, colors play an important role in it. Just imagine. Will you like to eat any product painted in black color? Of course Not. No one will like to eat any items painted in black color. Next, at the same time when it comes to luxury items like Cars, you will definitely like to purchase it. Hence, it is very important to think twice before selecting any color for your brand and product. Below all are the few factors that you can consider while selecting colors for your brand and product. Make sure the selected color is appropriate and it represents your brand or product to the customers. For example, Red is a bold color, it will not work perfectly when it comes to peaceful nature product or brand. The next factor in the list is ‘Know Your Target Audience‘. Ensure the selected color is appropriate enough for your target audience. Further, also ensured that the selected colors will give necessary encouragement to your target audience. Next, here, gender also plays an important role in selecting the colors. If your brand or product is related to Mens then you can go with any colors except ‘Pink’, whereas the pink color works best in case of feminism. The last but not the least, factor for selecting color is ‘Consider the Culture’. Do you know? In India, Hindu people avoid black color at the time of weeding. There is a tradition that during weeding, the groom and bride will not pose any item made up of black color. Now, just imagine. Your target market is people who are going to married soon. In this case, if the color of your product is ‘Black’, then both the groom and bride will avoid it. Hence, it is very important that you should the local culture before selecting the color of your product. This factor plays an important role when you plan to launch the product in particular locality. Though color plays an important role in branding and marketing. It does not mean it is the only conclusive factor in brand success. There are many brands who have avoid these rules and still got successful in the market. Hence, color is not everything but if used properly then it will have a positive impact on brand perceptions and consumer choice. We strongly suggest thinking of selecting any color for your brand or product. Remember, whatever activitiy you’re doing. Color always play an important role in it. Hence, make sure you have selected proper cothe lor for branding and marketing. Next, we also suggest to select proper color when it comes to marketing campaing online or designing your offical website. At last, if you feel difficulty in understanding any of the above things then feel free to contact us. You can share your message in below comment box. Which color will you use at the time of launching your brand or product? Please, do not forget to share with us.